On March 12th, Nextcloud held their annual Enterprise Day in the Congress Centrum Liederhalle in the center of Stuttgart, Germany. Participants enjoyed a day of strategic sessions, presentations, learning from different enterprise case studies and best practices on the Nextcloud platform. 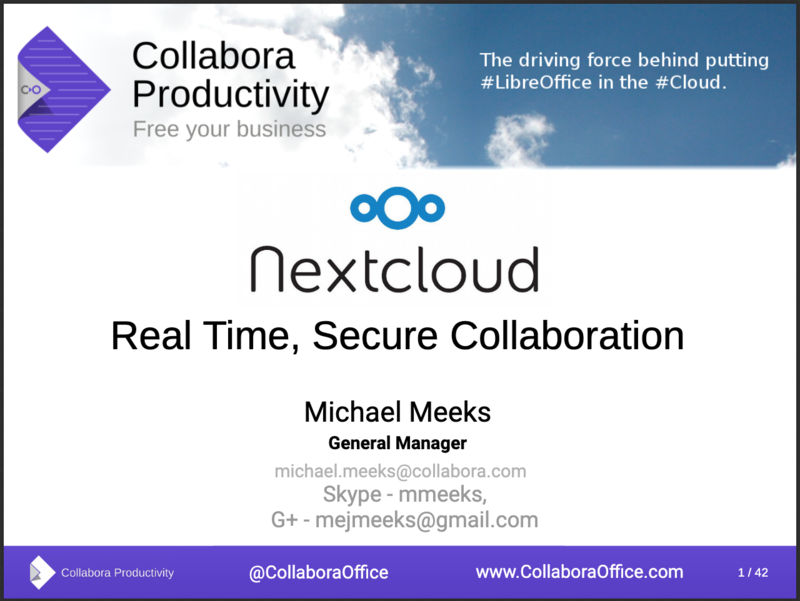 During the Nextcloud Enterprise Day, Collabora Productivity’s General Manager Michael Meeks gave a talk about how Collabora Online integrates into Nextcloud. Collabora Online is an on-premise open source software component based on LibreOffice, that can be easily integrated into any web application, and which enables viewing and collaborative editing of Office documents in dozens of file formats. This provides an easy-to-deploy office suite that runs directly in any modern browser, on any device. 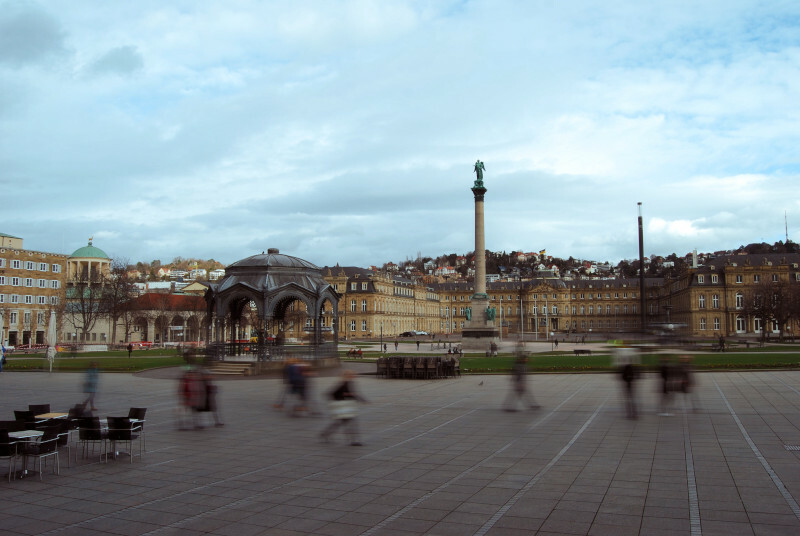 On March 12th from 8am to 5pm, Nextcloud hold their annual Enterprise Day in the Congress Centrum Liederhalle in the center of Stuttgart, Germany. 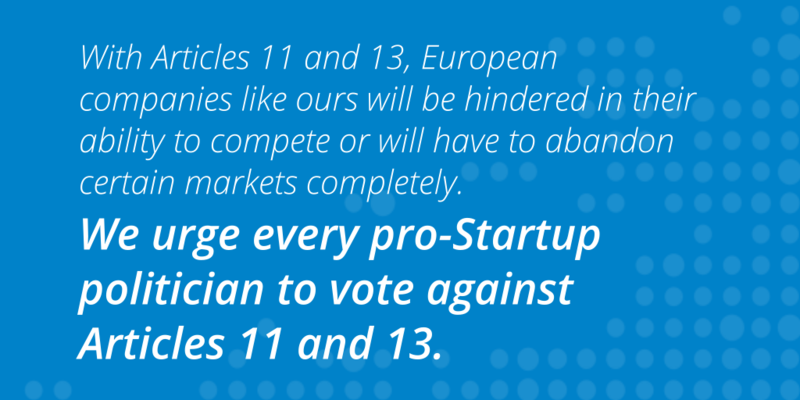 Participants will enjoy a day of strategic sessions, presentations, learning from different enterprise case studies and best practices on the Nextcloud platform. 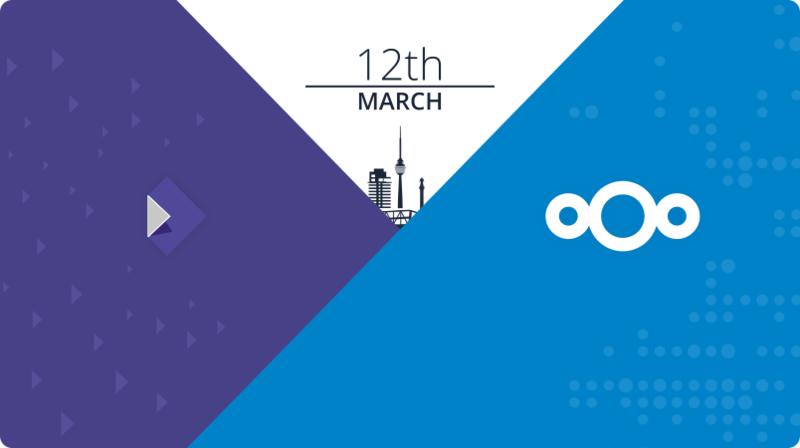 During the Nextcloud Enterprise Day, Collabora Productivity’s General Manager Michael Meeks will give a talk about how Collabora Online integrates into Nextcloud.